For a while now I have been wondering if the Vikings would part way with one of their two backup quarterbacks prior to the draft. It seems like a foregone conclusion that the Vikings will select at least one quarterback in the upcoming draft, which means it would make sense for the Vikings to part ways with one of their current guys. If the Vikings were to wait until after the draft to deal away Sage Rosenfels or Tarvaris Jackson, then their leverage would decrease drastically. In fact, if they suddenly had Rosenfels and Jackson in addition to a Favre return and a recently drafted quarterback, then they would likely have to cut a quarterback prior to the draft receiving no compensation. I have assumed the guy to be traded would be Jackson, and I think the Vikings assumed they would get somebody to bite on his relatively conservative third round tender. Apparently, that is not the case, however. Mike Lombardi reports that the Vikings and Raiders have been discussing a possible trade of quarterback Sage Rosenfels. Rosenfels arrived in Minnesota in exchange for a fourth round pick and promptly received a low-end starter’s contract. The arrival of Brett Favre dashed any hopes Rosenfels might have had of finally becoming a solidified starter. They would receive an additional draft pick or possibly multiple picks which can be used to address other team needs later in this year’s (or next year’s) Draft. It would open up a roster spot for a desperately-needed quarterback of the future to occupy. The Vikings would rid themselves of a contract that is far too much to pay a third string guy. Lombardi claims that this trade could only happen if the Vikings received confirmation from Brett Favre that he would be returning. I don’t think this is necessarily the case and I wouldn’t be surprised if a deal gets done sooner than you think. If the Vikings are already considering parting ways with Rosenfels then that indicates that he is not considered a better fit than Tarvaris Jackson by the organization. This assessment will stand true whether Favre returns or not. If the Vikings worst nightmare happened and Favre retired and Rosenfels was dealt away, leaving only Tarvaris Jackson on a one-year tender then the options still exist to completely overhaul the Vikings quarterback situation… which is not all that unattractive. Receiving compensation for Rosenfels would only strengthen the Vikings ability to move around in the draft and select a guy they think has “it.” Plus, Donovan McNabb is still an option at this point which we all know Childress would probably be elated with. Even more, guys such as Marc Bulger could become available after the draft and provide teams in need of quarterback depth with a quality option on a short-term basis. If the Raiders, who are known to overpay, are willing to give us a sweet offer for Rosenfels then I think the Vikings should go ahead and pull the trigger regardless of what Brett Favre is thinking today. I personally think they could swindle the Raiders, who are desperate for quarterback help, into giving up a third rounder for Rosenfels. Even a fourth rounder would be acceptable, as that’s what we gave up last year and this is arguably a much stronger and deeper draft class. What do you guys think? 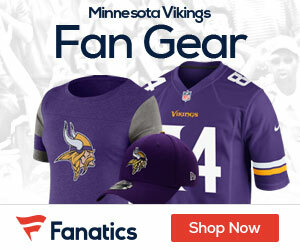 What should the Vikings get from the Raiders for Rosenfels? Sage should be a starter somewhere. Vike put a 4th round value and haven’t used him. Previously, he was traded for 6th and 7th picks. You want a what in return? Judd Zulgad said this trade wasn’t in the works tonight. A 6th round pick seems reasonable for Sage. Doubt we could fetch anything better considering what Brady Quinn & Shaun Hill were traded for. Most assume Favre is back. 3 mil is too much to pay for someone who isn’t active. We need to gut a roster spot for a development QB in the draft. Maybe John Skelton, Jevan Snead or Tony Pike in the middle rounds. Spend the early picks on a corner, a running back and interior o lineman considering how awful Herrera was this year. I’d deal him for a 3rd round pick. Al Davis is such a nut we could maybe get a 2nd round pick. But my question is who do want at quarterback? Favre 1 year which = 1 year window,or McNabb 3 year window. This team has alot of talent that should be together for the next 4-5 years. I would think Al Davis would be drooling over Tjack, the mobility and big arm. I guess he’s seen enough of that with Russell. Evening Charlie. This qb situation could get a little sticky if they aren’t careful. Very good take my old pal. But there are a few guys still defending Tjack but getting fewer. I think the 3rd round tender speaks volumes. A few guys talking about Sage not being able to beat Tjack out of #2 qb, but we know that’s because of the mancrush Childo has on Tjack. Did Sage completely flop with the Vikes during training camp last year or what? Freds a bit puzzled. Don’t get me wrong, I never thought the guy was going to be a star, but it seems he must have really been crappy if he couldn’t even beat out Tjax as a back up. From what I saw from him, he sure seemed to have more on the ball than TJax. Freds bets there is more to this story. I don’t think we’d get more than a 5th rounder for him. Ok, ok, we will take a 7th, but you have to take T-Jack as well. CC, I take it you are not a Tjack apologist? Johnny, I apologize that I once thought he was going be a good QB. Damn CC that was good, I’m still laughing, cant hardly type. Anybody thinking about possibility of 3-way trade? Raiders #2 gets in the “top 45” that Eagles are looking for to get rid of McNabb. Eagles get #2 from raiders, Raiders get Rosenfels and a third or fourth (or a player), Vikes get McNabb?